A favourite toy for children brings a classic story to life in this colourful Goldilocks play set including a fabric house, book and CD. 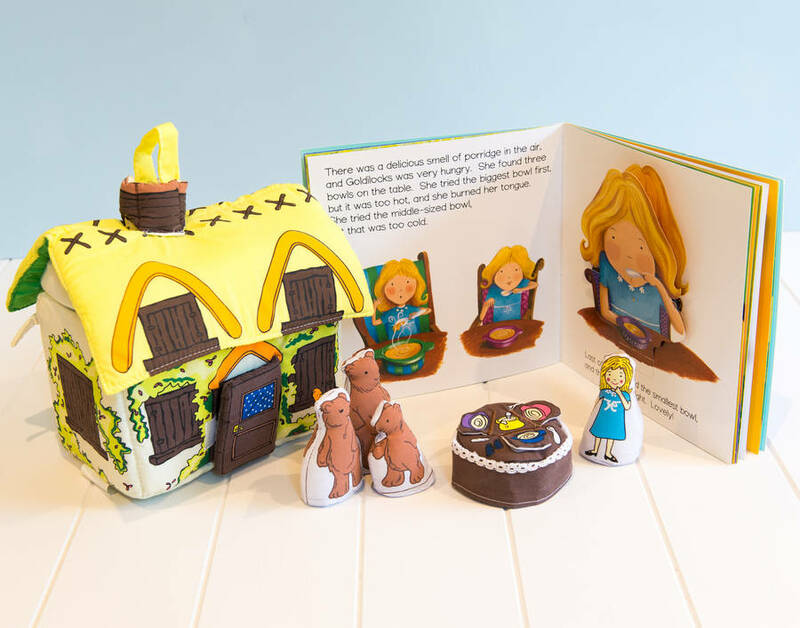 Follow the interactive, pop-up book and CD, then practice the story with our beautifully detailed, matching play set.with fabric beds that really are "too hard", "too soft" and "just right". 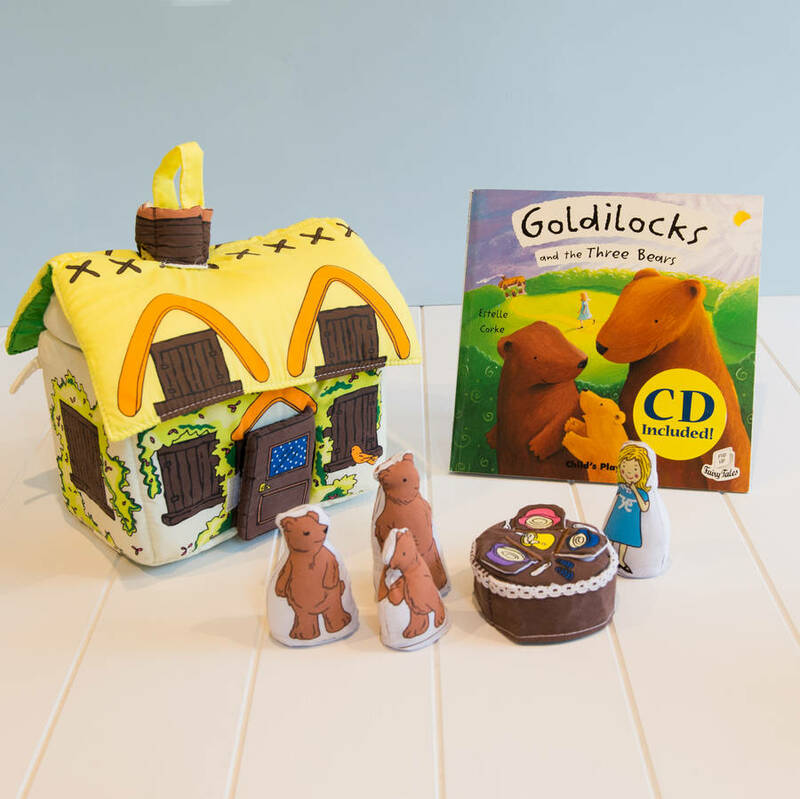 This enchanting cottage unzips to reveal a cosy little home for the Daddy Bear, Mummy Bear, Baby Bear and Goldilocks along with moveable beds and a table set out with porridge and chairs. 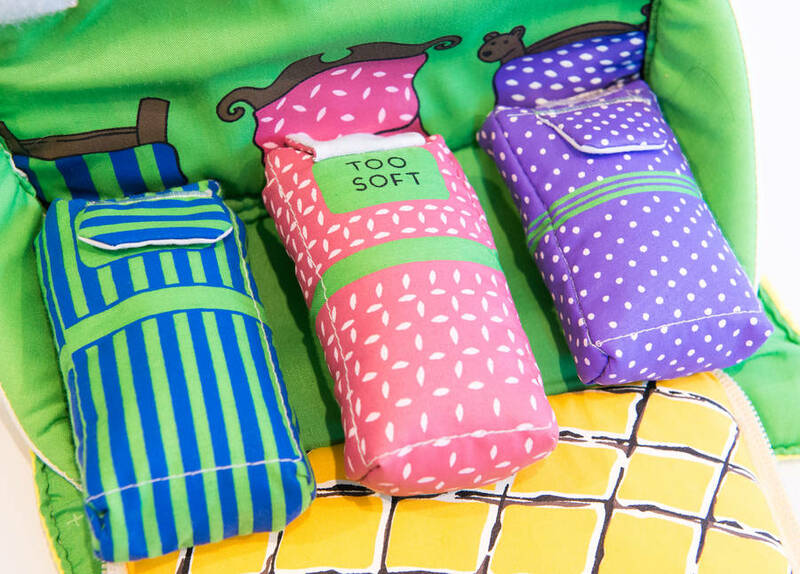 Nicely padded and brilliantly illustrated, this play scene was also designed for durability. We are very proud to be the exclusive UK distributer for the Pockets of Learning range. 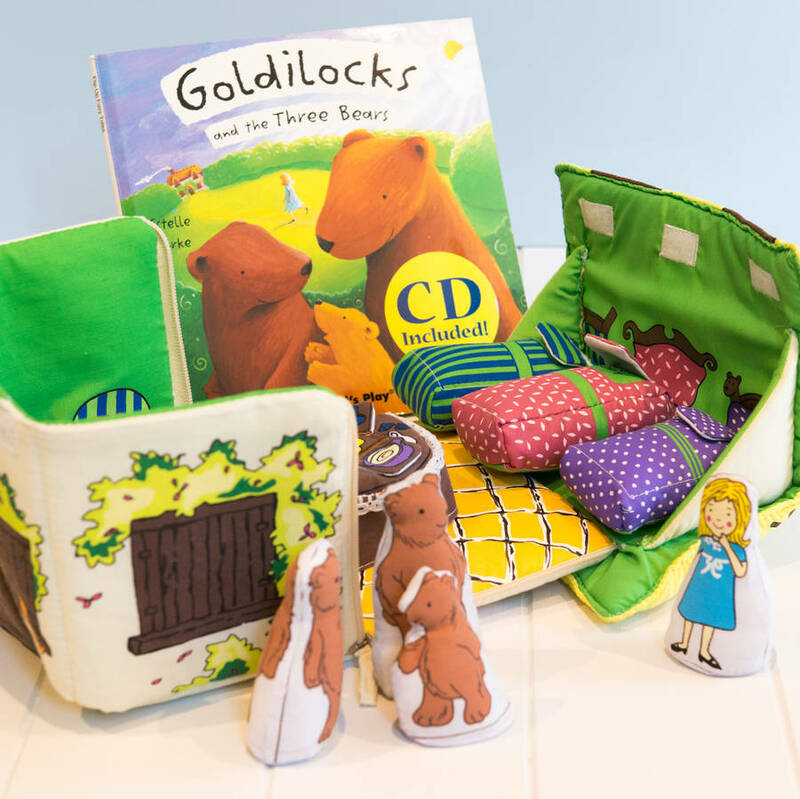 All our toy and books are safety tested from birth so are suitable for all the family and we think the Goldilocks and the three Bears play set is ideal for 2 1/2 to 6 year olds. Pockets of Learning develops its award-winning toys through the use of consultants, focus groups and field-testing. 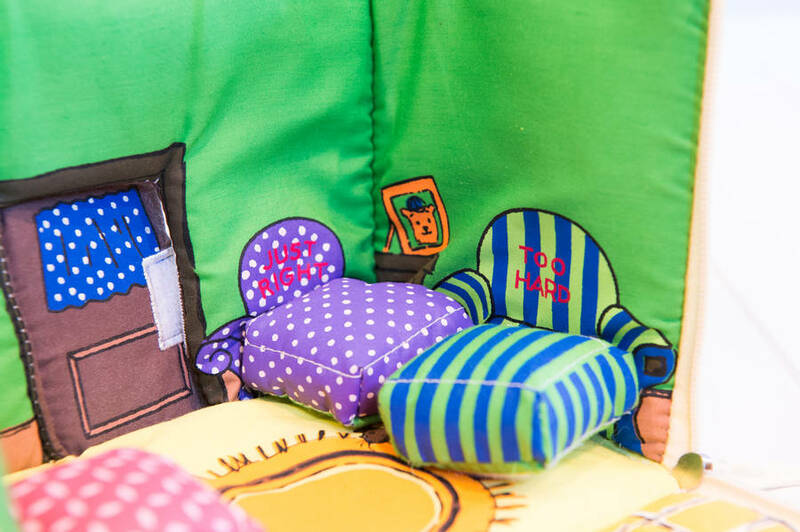 Each product is heirloom-quality and is characterised by its play and learning value. Once you experience the quality and value of these fabric books or toy sets, we know you will be back to buy more. But the best thing? Pockets of Learning guarantees to replace any lost toy pieces for free (and you never know how many lions or tea cups may get lost in your garden over time). We can gift wrap for you. 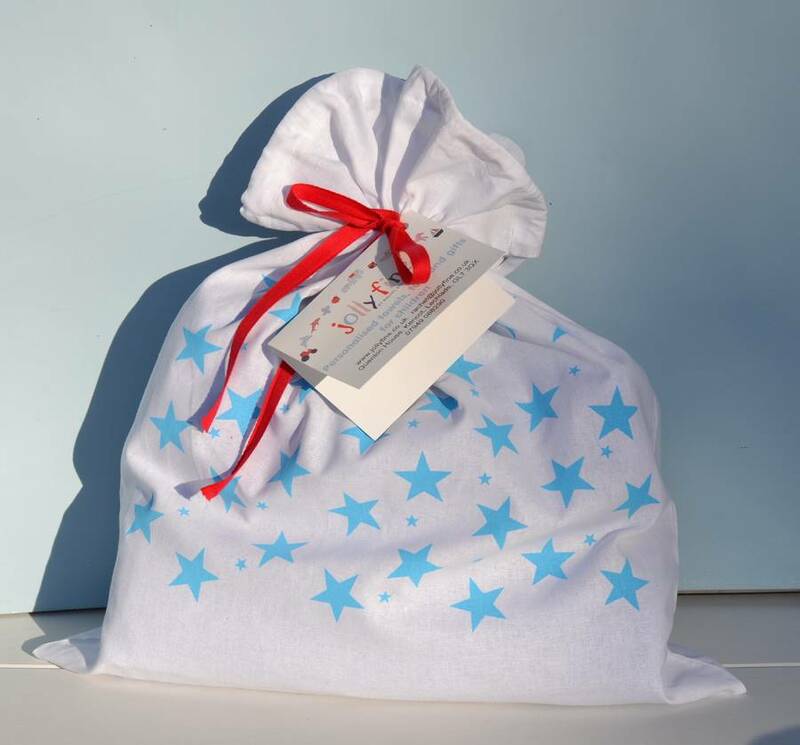 Instead of using paper we use a reusable fun star print cotton drawstring bag to wrap our products in tied with a red ribbon and a hand written gift tag (as shown in photo). Size when closed 20cm high x 20cm wide x 14cm deep. When open 14cm high x 20cm wide x 30cm deep. This product is dispatched to you by Jolly Fine.